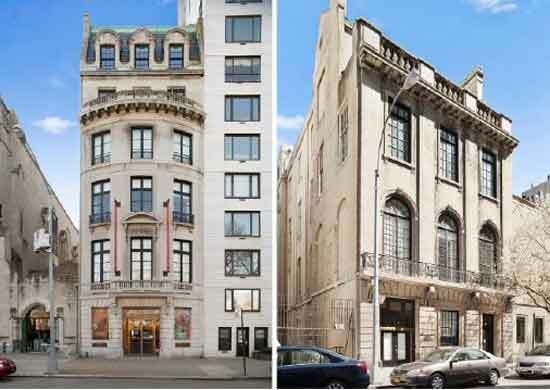 The National Academy’s two interconnected townhouses and school building are now on the market for $120 million, according to its listing by luxury real estate brokers Cushman & Wakefield. A museum spokesperson had previously told me that the property had been appraised at about $107 million in 2012. I trust that the Academy and its sales reps have ascertained that the legal instrument by which Huntington conveyed this gift didn’t give any “right of reentry” to his heirs, if the property were to be relinquished (as was the case for his gifts to the Hispanic Society of America [pp. 3-4]). I have questions on this and other matters pending with the Academy. If I learn more, you’ll learn more. 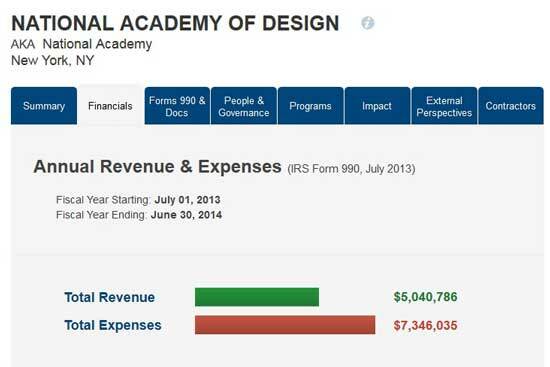 Despite my repeated queries last month about the amount of the Academy’s fiscal 2015 operating deficit and the projected deficit for fiscal 2016, I was referred only to the institution’s Form 990 tax return for fiscal 2014 (ending June 30 of that year), still the most recent available online. It seems to me that this major finance-driven decision to monetize the Academy’s long-term home should, at the very least, be backed up with detailed information, made publicly available, on the financial situation that led to this upheaval. The leadership “unanimously determined that in order to move forward on sound financial footing, the National Academy must create a significant unrestricted endowment, the first in the organization’s history,” the spokesperson told me, without divulging what’s now in the endowment. This is not the first time that this financially beleaguered organization has considered selling its home. As reported by Robin Pogrebin of the NY Times, a 2008 proposal “to sell the Academy’s… buildings…and to relocate was supported by the Academy’s 20-member board, known as the council. 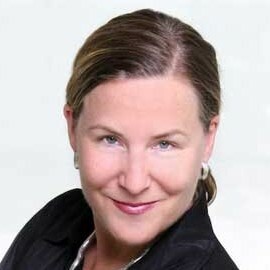 But the move was rejected by the institution’s professional artist members, known as academicians.” Annette Blaugrund, the then director (who recently told me she had tried to orchestrate a move to the property vacated by the Dia Foundation) resigned from the Academy after her plan was rejected. Her departure was followed by the infamous 2008 sale, first reported on CultureGrrl, of two of the Academy’s greatest American masterpieces (by Frederic Edwin Church and Sanford Robinson Gifford), with proceeds to be applied to programs, operations, fundraising initiatives and gallery improvements. The Academy’s head at that time was Carmine Branagan, who was replaced late last year by Maura Reilly, the current director. So what’s likely to happen now with the National Academy’s real estate? Cushman & Wakefield has a few ideas: “[It’s] a truly unique opportunity for either continued educational/community facility use or conversion to luxury, one-of-a-kind residential use that will inevitably be a project unmatched in its uniqueness and the price premiums [!?!] it will obtain” [emphasis added]. Of equal, if not greater, concern is what’s going to happen to its collection. Although the current plan is to find another site for a museum, I wouldn’t be surprised if this devolves into a situation analogous to what happened to the defunct Corcoran Gallery of Art (about which there’s been some recent news) and the defunct Terra Museum of American Art—a transfer of the collection to another institution or institutions with ample funds and space to care for and display the art. As at the Corcoran and Terra, this could mean the sundering of a distinguished collection, in which the whole was greater than the sum of the parts.